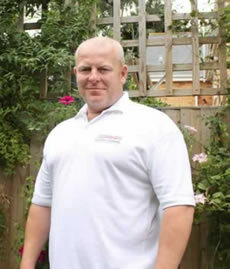 Allied Window Cleaning, LLC is owned & operated by Jeff Temperley. Jeff grew up in England living next to the Wethersfield USAF air base, and spent much of his childhood with the families of American service personnel. As a lover of all things American, he is now realizing his life’s ambition by moving to Florida, and teaming up with two lifelong American friends, twin brothers Tom and Dave Brady, formerly stationed with their father at USAF Wethersfield where they met Jeff. Jeff, Tom and Dave are excited to bring a range of professional exterior cleaning services to their new clients, including window cleaning, pressure washing, roof cleaning, glass restoration, gutter clearance, siding cleaning and much more. We can provide one-off deep cleans or schedule regular visits to keep your property clean all year long. Because frequent maintenance cleans are much less time consuming, keeping your home or business pristine all year round can now be truly affordable. Water is natures most effective solvent & most versatile cleaner. Purified water is even better, as it dries crystal clear (Tap water leaves mineral stains on glass). By using only highly purified water, specialist brushes and long telescopic poles, we can reach higher than ladders, safer than ladders and usually complete the job quicker than ladders - simply by brushing the window clean under a constant flow of purified water, the dirt is washed away and the glass dries crystal clear. Because our poles are lightweight carbon fiber, we can reach across porch roofs & conservatories to easily clean windows that are completely inacessible via ladders. Because pure water cleaning leaves no sticky detergent residue, windows stay cleaner for longer. Pure water technology allows us to clean many high level windows without the use of ladders, making the job quicker for us & more affordable for you. DO YOU STILL USE LADDERS? Yes, ladders are still required to access some area's - but for health & safety reasons Allied Window Cleaning LLC operates a "Ladder Minimisation Policy" and ladders are only used where cleaning is impossible using ladderless methods. DO YOU BRING YOUR OWN WATER? Yes. Because our water is highly purified we always bring our own. We have filtration systems in our trucks, just in case we run dry on a big job - but we rarely have to connect to a clients faucet, and always ask first should we need to. 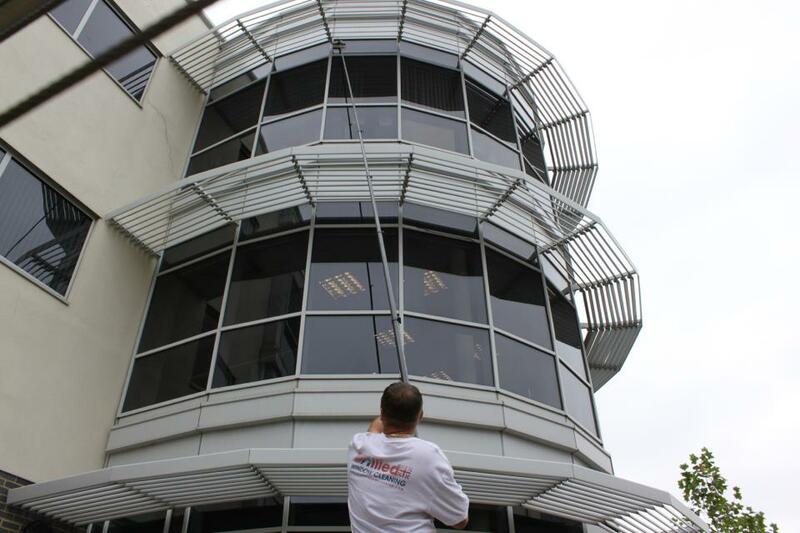 Allied Window cleaning LLC provides window cleaning, gutter cleaning, roof cleaning, glass restoration, rope access, pressure washing and soft-washing services from Apalachicola to the Eastern portion of Destin, FL. Allied Window Cleaning, LLC is a proud member of the Roof Cleaning Institute of America, the Industrial Rope Access Trade Association, the International Window Cleaning Association, the F9 Approve Rust Removal Associate Team, the Window Cleaning Resource Association and the Panama City Beach Chamber of Commerce. We realise the importance of ensuring EVERY customer is 100% satisfied with our service. Our guarantee is simple: If you are not 100% satisfied with the results of our cleaning, just call us within 24 hours and we'll return & re-clean the affected area's free of charge. Monday to Friday 09:00 to 17:00. Saturday & Sunday closed. These are the times we concentrate on a rapid response to queries, however we do operate from our offices from 8.00 till 6.00 5 days a week. Yes. Our company registration number is LLC# State of Florida - L12000107601. We accept payment via cash, cheque, bank transfer or paypal. Payment is due upon completion unless other terms have been previously agreed in writing. WHAT HAPPENS IF MY ACCOUNT IS PAST DUE? If your account is past due you will be charged monthly late fees. If your account goes 60 days past due your account will be referred to a collection agency. WHAT HAPPENS WITH RETURNED CHECKS? $35.00 fee is added to accounts with returned checks, this fee is in addition to late fees. Our crew does occasionally work on Saturdays and Sundays for large projects, but availability is limited, so please book well in advance. WHAT IS THE EARLIEST AND LATEST APPOINTMENT RANGES AVAILABLE? We typically schedule services between 8am to 5pm but may be able to accomadate other times by appointment. CAN I SCHEDULE BY E-MAIL? Yes simply email us for a service estimate and tell us your time preference and we will give you a list of available times. Of course calling us would be the simplest way as our schedule can fill up very quickly. Depending on the size of your home and service requested a service call can last as little as 30 minutes or as much as 8 hours. If duration is your major consideration please ask for an approximate length on your initial call. Most jobs are assigned to one or two people. For larger jobs, or where the completion deadline is close, extra workers may be assigned. If you are having your windows cleaned please make sure everything is removed from the window sills. Please make sure your windows are closed all the way. Yes we can remove many types of debris from windows including, paint, stucco, silicone, stickers and other construction and remodeling debris. This not covered under the "Basic Window Cleaning Service." There is an additional charge for these services. If a cancellation is needed please cancel appointments at least 48 hours in advance as we will still be able to schedule someone else for the time slot. Any cancellations made in less than 48hours, same day cancellations, as well as missed appointments and lock outs will be charged a 50% cancellation fee. Cancellations must be made over the phone. "Foggy" windows are often damaged or defective double paned windows. Because this fog is in between the 2 panes of glazing, we cannot remove these marks. Not as much as you may think! Traditional cleaning methods are sometimes affected by rain because of the detergent residue left behind. Because our pure water cleaning systems leave no detergent residue, the rain has almost no impact on the cleaning - we're so sure of this the we often keep working in light rain. Of course heavy rain & high winds may cause health & safety issues for our workers, and should weather conditions worsen it is down to the operators discretion if work should be postponed until conditions improve.